When it comes to romance, Mani Ratnam has an uneven advantage in making even the mundane plots dance on screen with unblemished technical brilliance and undiminished attention to the nuances of love. 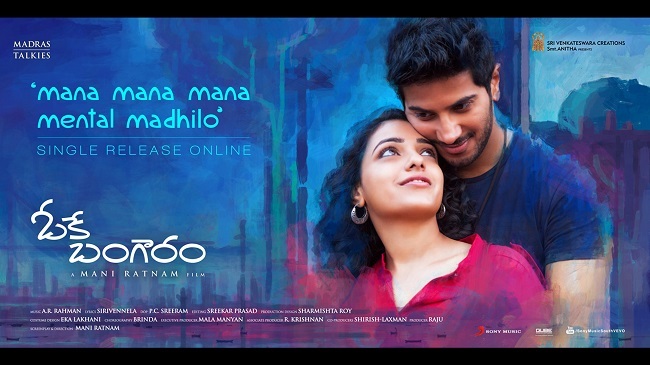 “Ok Bangaram” passes the test for Mani Ratnam and it is no mean feat for one of the finest masters of Indian Cinema. He has made a memorable romantic movie in every decade since the 80s that gets burnt in our psyche. “Mouna Raagam”, “Gitanjali”, “Sakhi” and now “Ok Bangaram” joins that league. Even if the plot is not something unfamiliar and the treatment lacks wow factor at few places, the finesse of the film with all the visuals, the rich music of AR Rahman and the tracks between the lead pairs (there are two pairs in fact) transport you into trance. Roping in such technical stalwarts like PC Sreeram, Sharmistha Roy, Sreekar Prasad and Rahman, Mani can heave a sigh of relief that his product, after a long gap, will taste some success at the box office. Indeed the plot is mundane and much cited on silver screens – a live-in relationship between two mature professionals – Aadi (Dulquar Salmaan) and Tara (Nitya Menen) who are spectacularly in love with each other while keeping an eye on their fledgling careers. Dulquar is a gaming guru who conceptualises imaginative online games that rake in the millions and Nitya is an architect who is seeking her Masters in Paris. Dulquar stays as a PG with an elderly couple – Prakash Raj and Leela Samson. Love grows between the two young pros with faultiness often arising from live-in expectations. It goes through a roller-coaster ride before a familiar climax with many moments of truth inspired by the geriatric couple of Mrs and Mr Ganapathy (played by Prakash Raj and Leela Samson). But Mani Ratnam doesn’t believe in a riot of love without a cause, so you see a romantic track with the duress of a success-seeking professional and the affections of your immediate family, however dysfunctional or the care of those who need. In 138 minutes or so, Mani Ratnam’s old magic of story-telling returns without any temptations of narcissism of the craft or visuals that rush up your adrenaline. With good screenplay, stunning visuals and a commendable starcast, the movie deserves a once-watch even if some familiarity with his treatment creeps in at many points. In many ways, the old film “Sakhi” still remains unsurpassed because of the beauty of a sober plot that has many uncharacteristic twists and pathos moments. Yet, “OK Bangaram” scores high because of the freshness of the pair. Nitya Menen takes the cake in the movie with an effortless performance that will win hearts, she is at once vulnerable yet measured, cute yet cold-blooded with her mother, innocent but also volatile in moods. Wearing dresses that she might wear on a day of no-shooting, Nitya strikes a delicate balance with versatility and grace unbelievable for a South heroine. The only thing that takes away marks in her performance is the inconsistency in her characterisation; she first turns down a lover who is interested in her estate but with Aadi, she gets distracted all the time falling for the same tricks that she believes boys play before getting fresh with girls. Aadi, played by Dulquar Salmaan is exciting. The boy who won all the hearts in “Bangalore Days” is the most promising youngster that Mani Ratnam has re-launched for an audience far removed from Mollywood (Malayalam movies). Whether in control of emotions in love or losing it, in anger and poise, camaraderie at work or sympathy for an elderly landlady, Dulquer smarts ahead with a great show of talent – something that comes easily to him from father and superstar Mammooty. His characterisation is the most consistent and worthy of a protagonist coming of age. 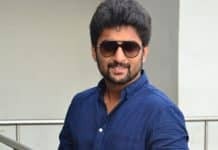 Kudos to Actor Nani for lending his inimitable voice to Dulquer in the Telugu version. Nani’s voice has amplified Dulquer’s character for the masses – it is a great idea and a good sporting gesture. Normally, Aalap Raju or Srinivas Murty are the only voices you hear for all Tamil heroes in Telugu versions but this is a delectable experiment – must be at Dil Raju’s bidding who produced the movie in Telugu. Prakash Raj gets such a meaty role in this film, after “Iruvar”that he should thank his stars for a spotless role which will re-ignite his career in that space where he was virtually unchallenged. If Jayasudha stole the show in “Sakhi”, Prakash Raj did it in “Ok Bangaram” with shades of “SVSC” performance. Leela Samson gives a soulful performance as a lady losing her way in life with Alzeimer’s. Her lines linger on and give the depth to an otherwise elementary story. What endears the film is Mani Ratnam’s mature handling of the themes and visuals he wants us to go home with. He could have been tempted to show cliched scenes of fights to elevate heroism or sympathy to pad up the love story etc.but he shows great restraint by sticking to responsible and refined cinema. In the film, for example, the heroine’s mother uses her influence to subject the hero to police torture. 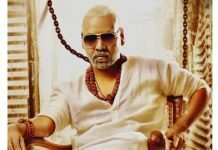 Any other director would have shown the scene – right from Shankar to Rajamouli but Mani dismisses it as an aside plainly told by the hero to the heroine, matter-of-factly. Similarly, a love story doesn’t fire up without a customary item song or a drunken scene or fights. Cleverly, quite deftly, Mani shows none of these banalities – instead, he uses the montage of the gaming animation to show stunts and other chutzpah – skip it or snooze, the story doesn’t jar you. Heroism for the heroes and glamor for the heroines – both these get redefined by Mani in the film, a lesson somewhere for master manipulators of emotions in Tollywood. It is good that successive failures and biting criticisms of Mani’s previous films have made him mellow in his love with the craft versus attempt to tell a good story. Mani has told a good story with a familiar message though – with conventional trappings and some deja vu moments of bitterness and celebration in love and life. But the effort shows and leaves you with a nice aftertaste unlike some of his forgettable films in the last decade. Helping him to get a breather again are technicians who worked closely with him in several films. PC Sreeram, that ace cinematographer proves a nonpareil when it comes to catching fire with screenshots. This time, he choses Mumbai’s lesser-highlighted imagery – torrential rains, jerky rides on bike, high seas of the Arabian Sea with up-close shots of the ships that keep a vigil on the coast at night and many other shots like that. Sreeram’s work is itself paisa vasool for the film and makes it above-average viewing. Of course, his lighting is legendary – and while he makes the lead pair sizzle in their chemistry and screen presence, he has highlighted the old pair in the moods that Mani wanted them to be in, Leela Samson’s shrinkage from a carnatic musician to a forlorn patient is captured well by Sreeram as also the shots in the trains in which lot of Mani’s films revel. AR Rahman’s music has been a chart-buster before the film released, now it will egg you on more since the film is a treat to watch. With nine songs rich in variety and orchestration, Rahman has given the season’s best songs and BGM. And Mani hasn’t fully done justice to their picturisation; he hasn’t subtracted though from the music with his visual output. Visually, the song on the gaming concepts that greets you on titles has the raciest groove in the score. The carnatic number sung by Chitra is the only song abruptly cut short by Mani. Otherwise, almost three or four songs which are good audio tracks are extended in the second half which increase the hummability of the songs. Songs by Rahmanand the music co-scored by Rahman and another troupe take the experience to a new high. Mani’s imagination is not commensurate with Rahman’s perceptible instrumentation reserved for “Mani Sir’s films”. The only song that stands out is the duet in the lodge in Ahmedabad where the young lovers feel the physical temptations of love but don’t give in yet. Dubbing-wise, you don’t feel this is coming from Tamil, the quality and the Telugu diction is so good. Also, references to local towns and a couple of politicians make it credible. Sirivennala’s lyrics make the Telugu songs enchanting and classy compared to some of the hopelessly inapt lyrics penned in Mani’s previous films dubbed from Tamil. Instead of using words like “Gunde Kinda Needocche” and “Kuriseti Gadiyaaram”, Sirivennala uses lilting words which are also sensible. Dialogues by Kiran are in the same metric length of Mani Ratnam – crisp and business-like. Despite many moments where you feel the lag of a director who is not able to outgrow his favourite love scenes and hurrah moments, “Ok Bangaram” will get Mani’s fans happy again. Here’s a master who gets his mojo back. It is not brilliant and not the best of his movies – but he re-presents the timeless paradigms of skin-deep love for another generation confused in online chats and careerist obsessions with reinvigorated craft and squeaky clean touch of class. Watchable, for sure. 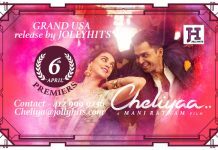 Cheliya Movie Review : Technically Brilliant, but Boring !